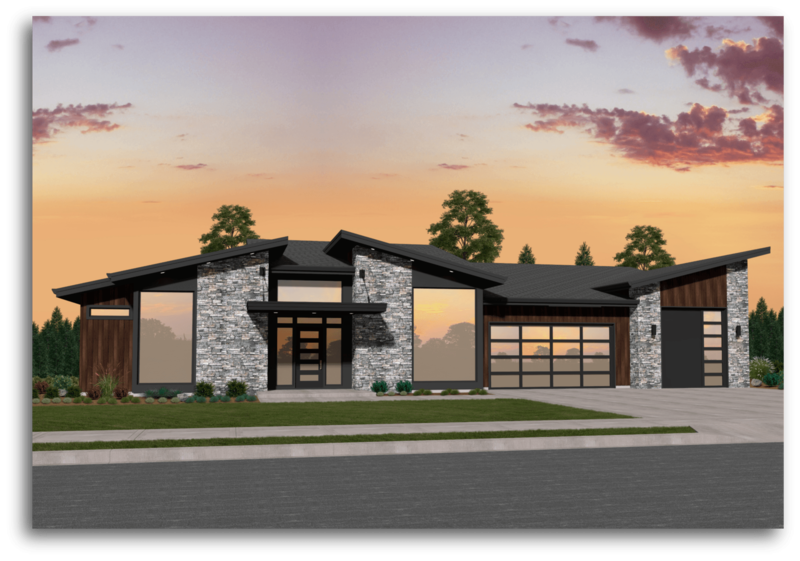 Every detail of this decadent one story northwest modern house plan with a garage screams comfort and ease of living. The grand twelve foot ceiling in the entry signals that this is no ordinary home. On either side of the entry is a full suite with private bathroom. There is a large courtyard to the left that has sliding door access from the third suite. The dining room and great room also feature twelve foot ceilings, as well as easy open flowing access to the cook’s dream of a kitchen. Beyond the great room to the left rear of the home is a spacious rec room, complete with it’s own 3/4 bath. A stunning veranda complete with fireplace resides at the rear of the home just off the great room, allowing you to take full advantage of that perfect rear view lot. The master suite is privately located at the right rear of the home, and includes a sprawling bathroom with open glass shower and large standalone tub. The walk-in closet is openly divided into two sides, so you don’t have to worry about fighting over closet space. 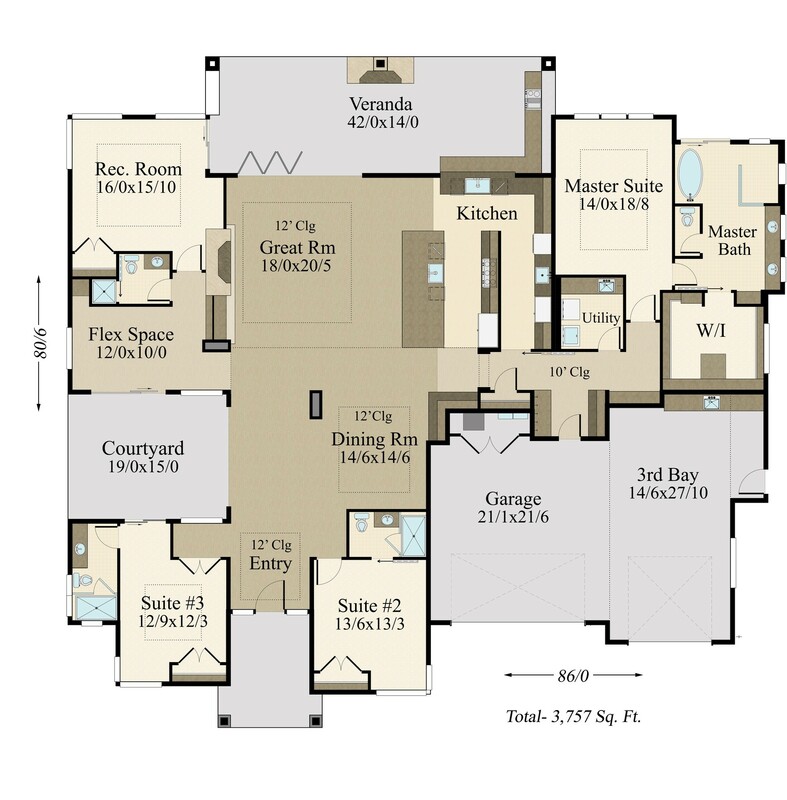 We are truly proud of this home and of our Northwest Modern style and are very pleased to present this home for you. This home is not available in the state of Oregon. Perfect for a view to the rear.